A Bronx principal says a powerful city superintendent targeted her school for closure after she rejected his sexual advances. Crotona Academy will shut its doors in June — and Principal Patricia Williams may lose her job — in part due to the efforts of her supervising superintendent Paul Rotondo. But Williams, who’s worked in city schools for 15 years, says Rotondo has been trying to ruin her ever since she rebuffed him for groping her on the job in 2016. Rotondo, a veteran educator who oversees 41 city high schools, including Crotona Academy on Southern Blvd. in Foxhurst, has a clean disciplinary record and has denied the Williams’ accusations. Education Department officials gave him a leading role in Crotona Academy’s closure, even after Williams filed a complaint with the federal Equal Employment Opportunity Commission in February over his alleged groping. And as the school prepares to close, Rotondo’s currently weighing whether Williams will be allowed to keep her principal job at another public school. Williams said she believes someone else should make that decision about her employment since she filed a sexual harassment complaint against Rontondo. And she wants the city to reverse its decision to close Crotona Academy, a move that already has been the subject of protests and legal action. Education Department officials appointed Williams principal of Crotona Academy, which enrolled 162 overage and undercredited high school students, in 2015. 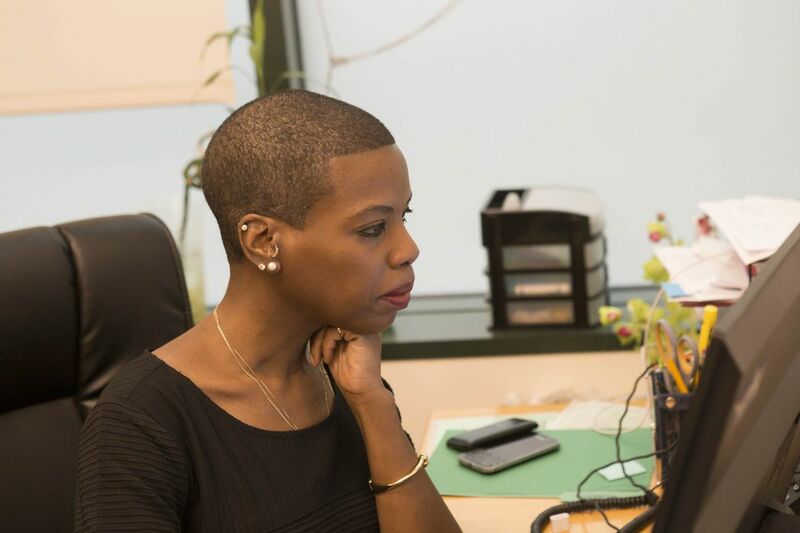 As an up-and-coming educator at the time, Williams said she had a good working relationship with Rontondo until February 2016 — when she says he embraced her tightly during a working visit to Crotona. Rontondo was doing some paperwork in a classroom trailer, Williams said, and she dropped in to see if he needed anything. She said that, as alleged in her EEOC complaint, the superintendent surprised her by embracing her and holding her against him. After freeing herself from her boss’s grasp, Williams said, she left the trailer. She said she tried to resume her normal interactions with Rotondo, who was helping her school move to a new campus. But Williams said the boss who had been supportive turned abusive after the trailer incident, telling her she was incompetent and incapable of running a school and that he would close down Crotona Academy. A school staffer who asked to remain anonymous to protect their job, said Rotondo corroborated Williams’ accounts of Rotondo’s about-face and put-downs. Williams didn’t tell anyone about the incident at first, she said, because she was scared Rotondo would act on his threats. The superintendent helped education officials compile a case for Crotona’s closure and a plan to shut it was announced Feb. 9. Since then, the complaint says, Rotondo retaliated against Williams by giving her unfair job evaluations, threatening her employment and soliciting negative feedback about her. Reached at home in Staten Island, Rotondo said he hadn’t heard anything about the charges. Williams said her EEOC investigator said her complaint was sent to the Education Department’s general counsel’s office. But city education officials say they’ve never received the complaint, even though they received others from the same agency. The EEOC refused to comment on the department’s claim that it never received the complaint, but emails from Williams’ EEOC investigator show the EEOC probe is ongoing. Williams said she was shocked when Rotondo testified for Crotona’s closure at the public hearing where the Mayor’s Panel for Educational Policy voted on April 25 to shutter the school for low enrollment and poor academic outcomes. Opponents argued it should stay open, saying it improves the lives of students and is in good academic standing with the state. But the panel, which had not been informed of Williams’ charges against Rotondo, voted to close the school anyway. Education Department spokesman Doug Cohen said the city handled the matter properly.